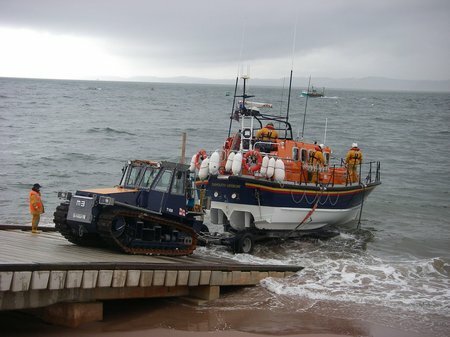 Crew volunteers from Exmouth RNLI were called to the aid of a yacht, two speed boats and a missing kite surfer on Sunday 28 July. 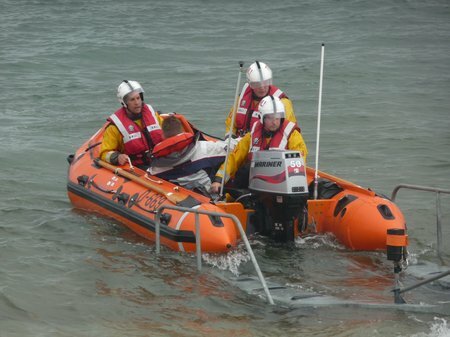 Relief Coxswain Matt Simpson from Ilfracombe RNLI led the yacht rescue in Lyme Bay. 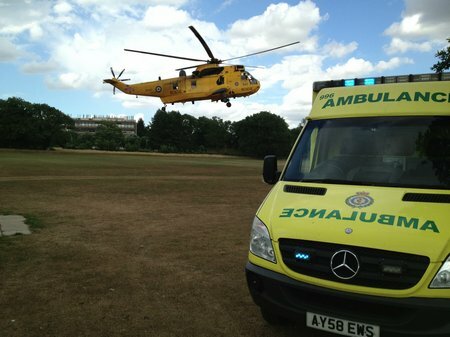 A man in his fifties has been airlifted to hospital this afternoon after the East Anglian Air Ambulance (EAAA) joined forces with the RAF Search and Rescue team from Wattisham in Suffolk to reach and treat a patient located off the North Norfolk coast. 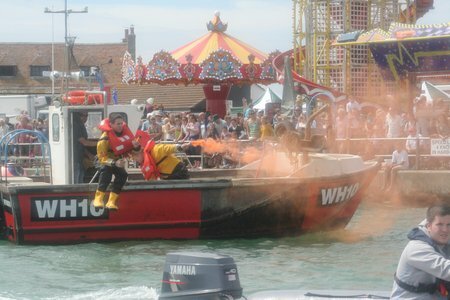 The annual Mudeford funday helped celebrate Mudeford RNLI’s 50th anniversary yesterday. 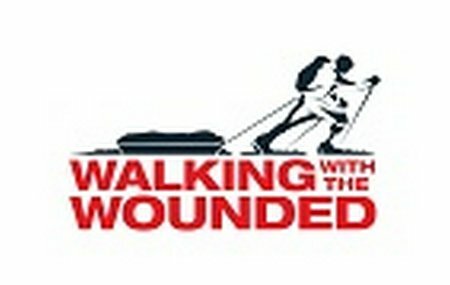 Thousands attended this annual fundraiser event helping to raise money towards the running costs of Mudeford’s RNLI station. This staggering section of the Trois Etapes is perilous and beautiful in equal measure. 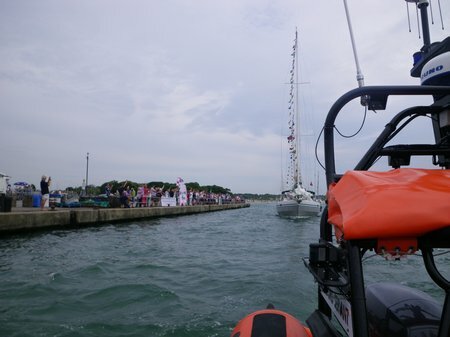 Whilst providing cover for Mudeford RNLI’s annual funday, Mudeford Servant was tasked to assist an inflatable dinghy, with one male on board, which had suffered engine failure. The man was trying to get to Wick when his engine stopped working as he approached the run at Mudeford. 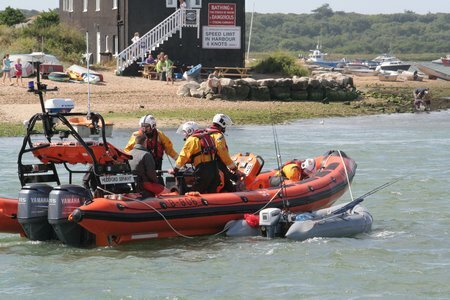 The volunteer crew towed him into Mudeford and then resumed their cover of the funday. Lifeguards are provided on more than 240 beaches this Summer, so why pack your own? Plan a safe and fun family trip using our free Beach Finder app. On Friday 26 July, the 2013 edition of the Trois Etapes pro-am cycle got underway in the French Alps, commencing with the Prologue stage of the race. 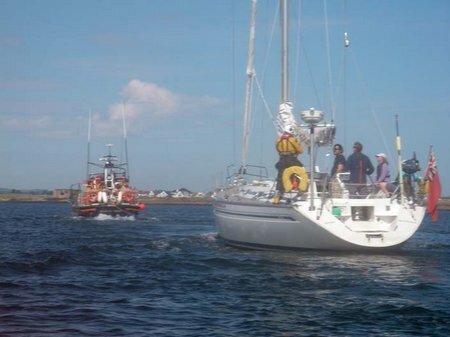 At 09.38hr on Saturday 27 July 2013, Humber Coastguard requested the launch of Seahouses Lifeboats, to go to the assistance of a disabled 45ft Yacht “Tonic”, which had a rope around its propeller and rudder, 3 miles south of the Farne Islands. It had 6 persons aboard. 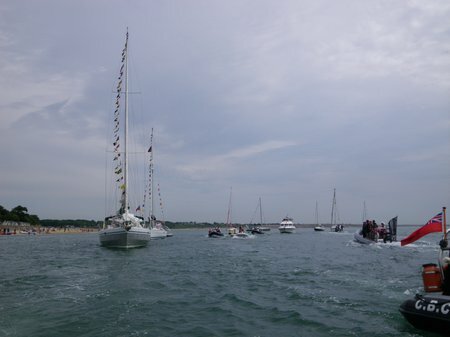 Both Lifeboats were quickly on scene to give assistance, and a Lifeboat Crewman was put aboard the yacht. Amble all-weather lifeboat The Four Boys was launched at 15.30 hrs on Wednesday when a call came in that a 26ft boat had suffered mechanical failure. The vessel was located just outside the south pier of Amble harbour and was drifting towards cliffs. The vessel managed to get an anchor rigged to slow down the drift. Amble inshore lifeboat Mildred Holcroft was the first to arrive on scene and quickly placed a volunteer crewmember on board to assess the situation. 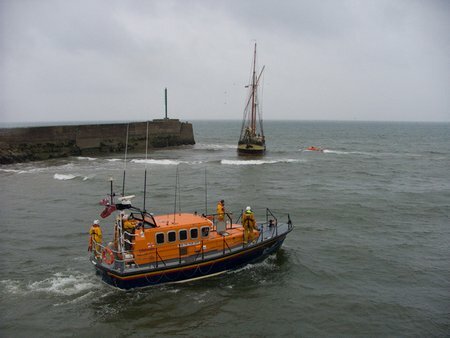 Once it was clear that the three persons on board were all well, a tow line was rigged to The Four Boys and the larger lifeboat towed the casualty back to Amble Marina for investigation.